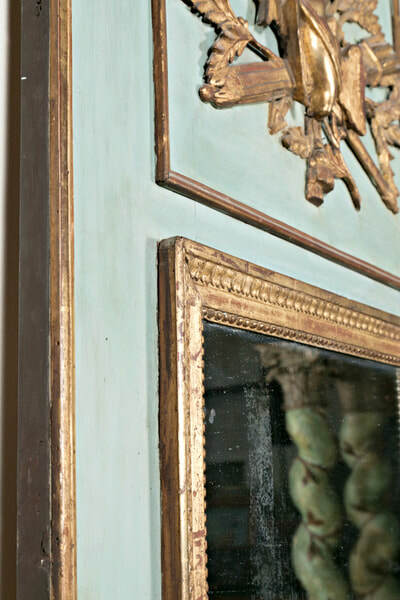 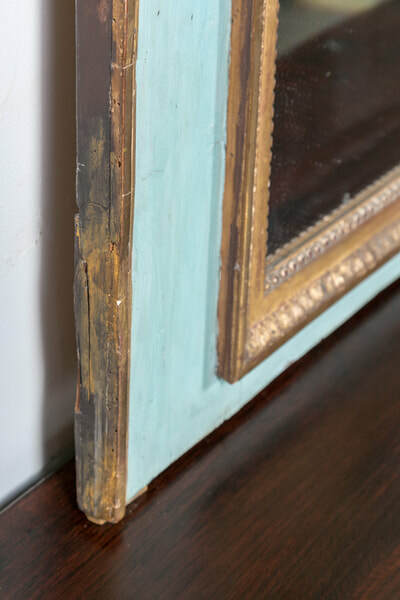 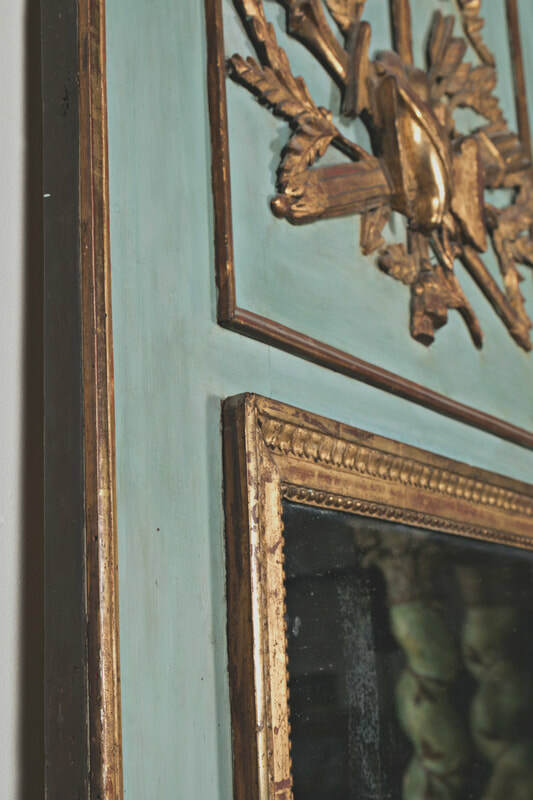 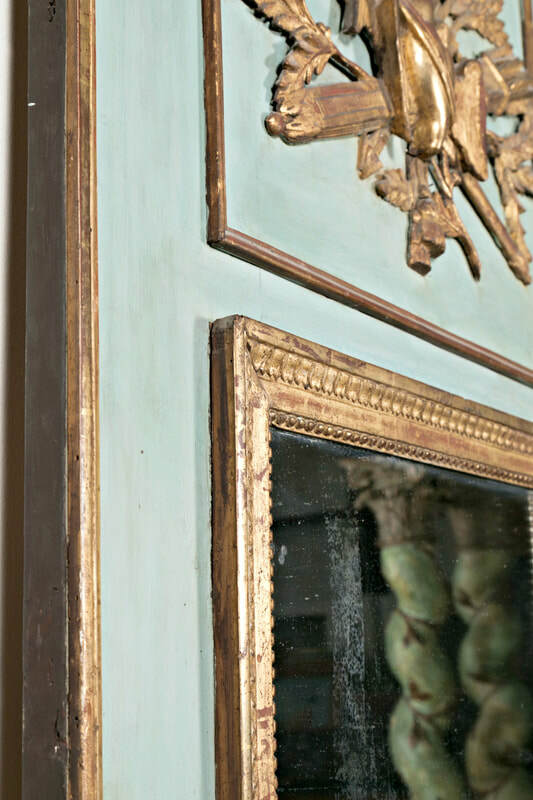 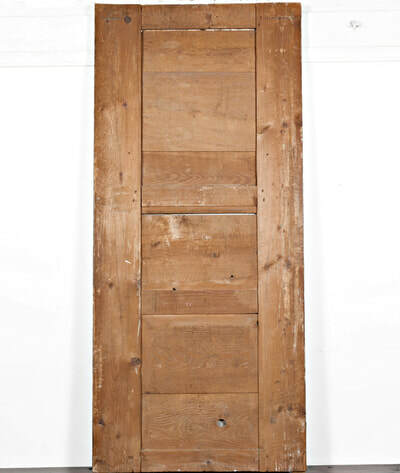 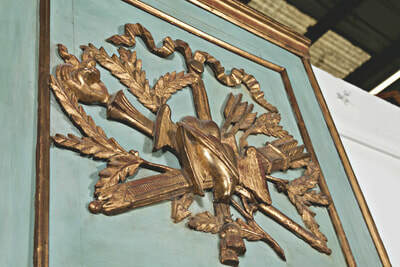 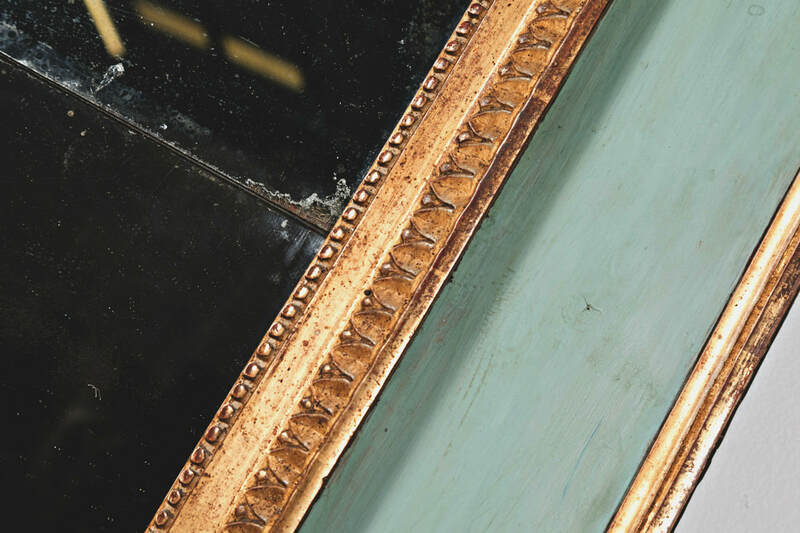 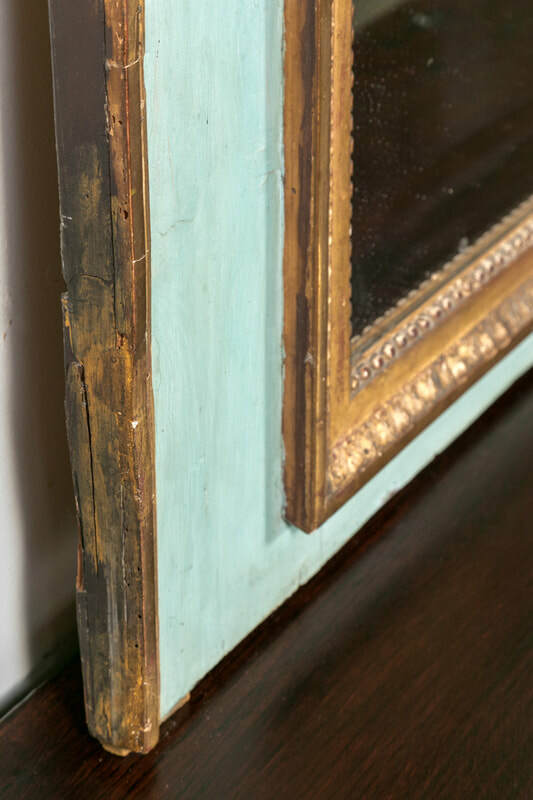 Stunning 18th century French Louis XVI period painted and parcel-gilt marriage trumeau from the South of France. 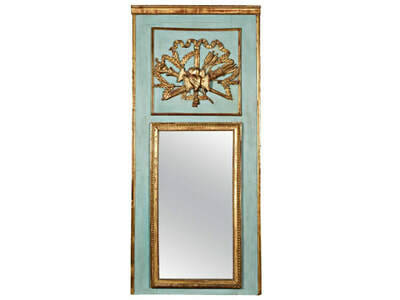 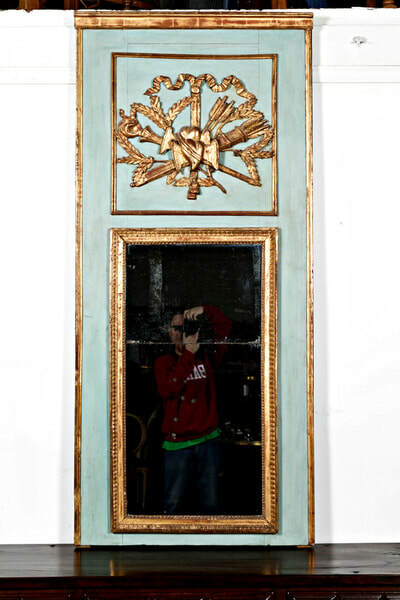 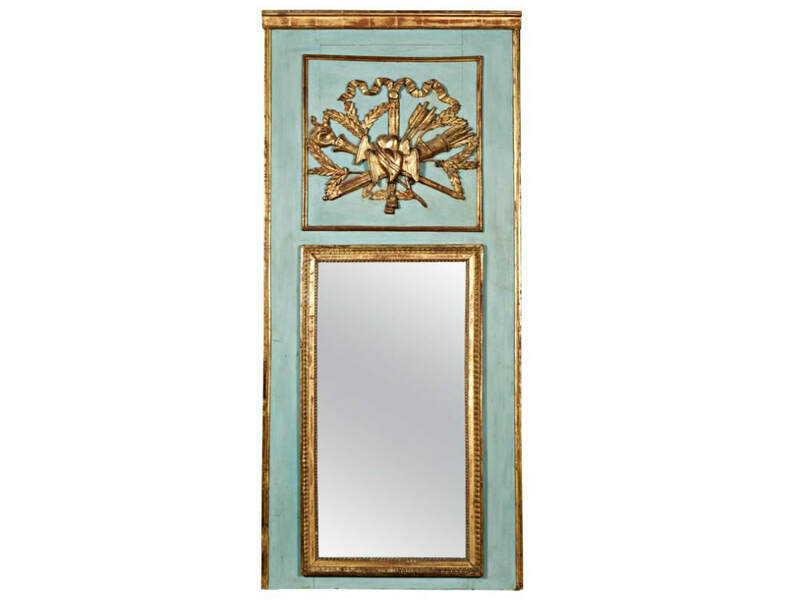 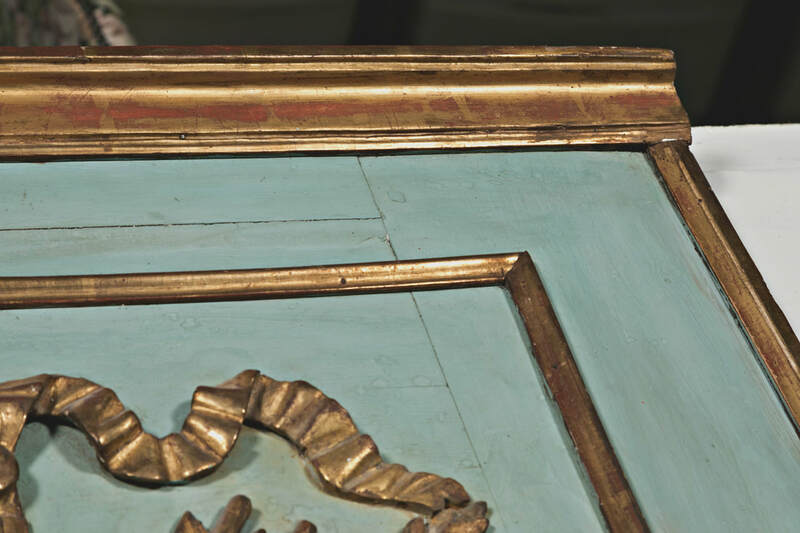 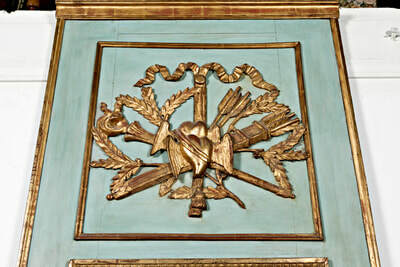 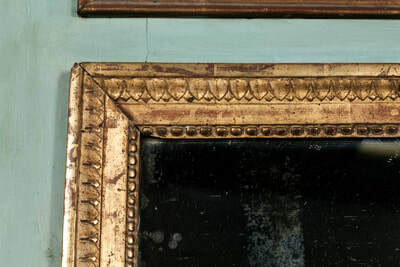 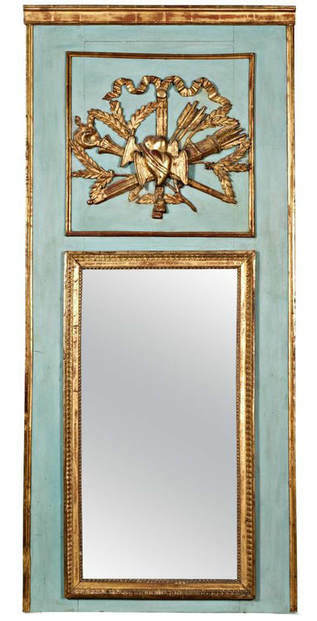 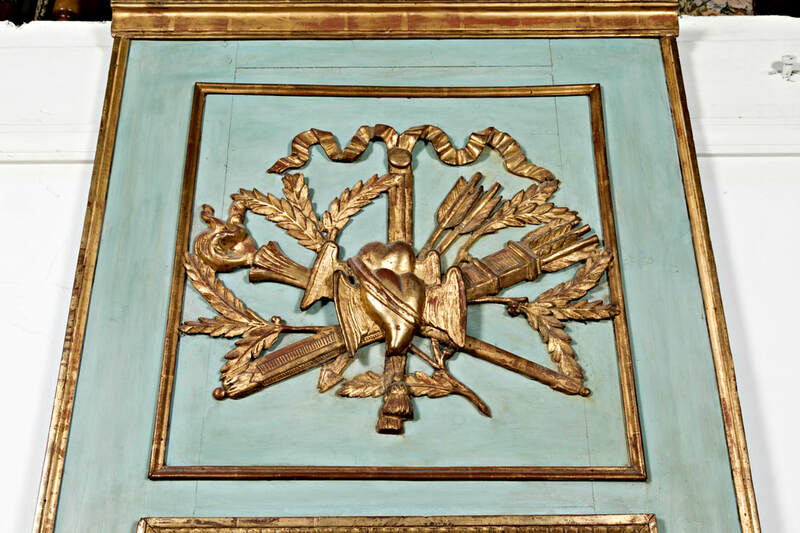 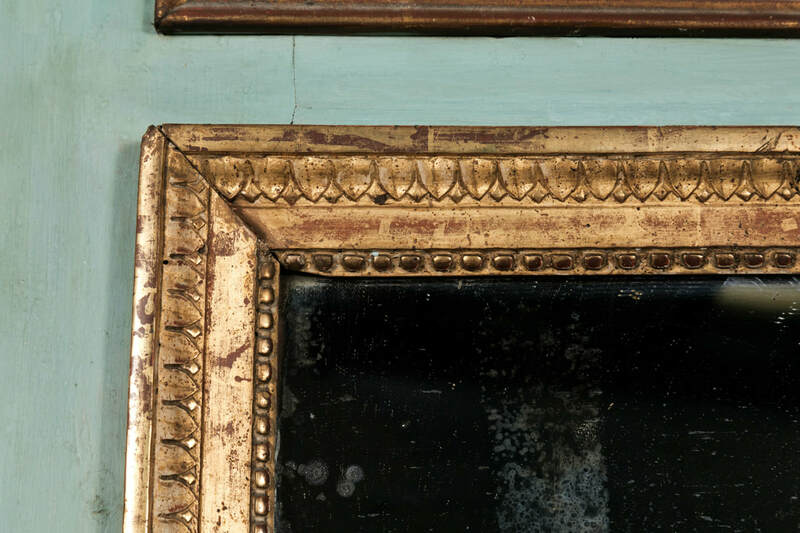 The frame of this wonderfully romantic mirror is decorated with gilt carvings typical of marriage pieces – the torch (symbolic of life), which is balanced out by Cupid's quiver and arrows, flaming hearts beating in unison and dove wings (evoking love) with sheaves of wheat representing abundance and prosperity, all set off by a rich painted background. 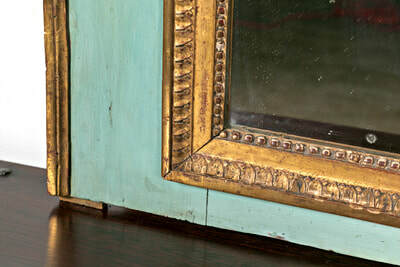 Red oxidation showing through the beautiful water gilded patina that is original to the piece. 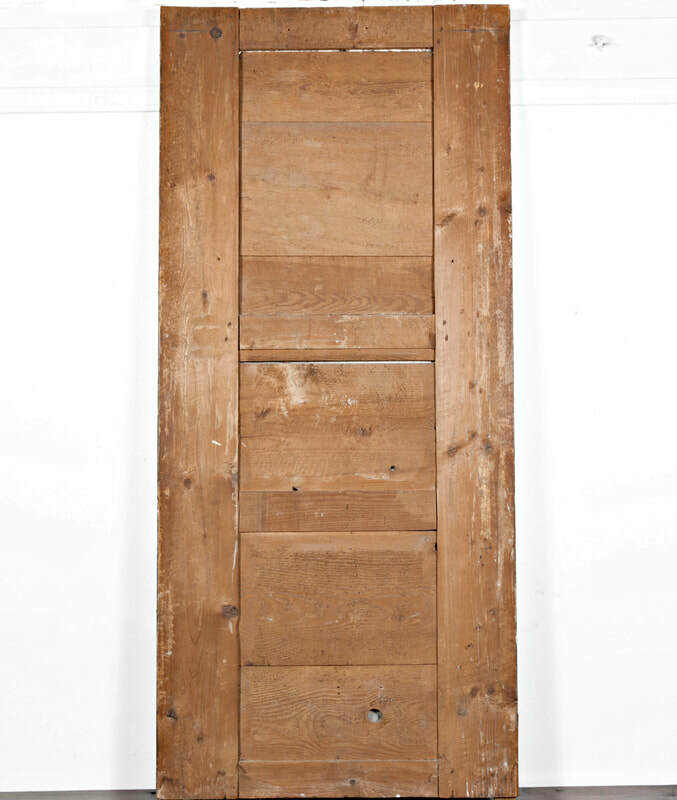 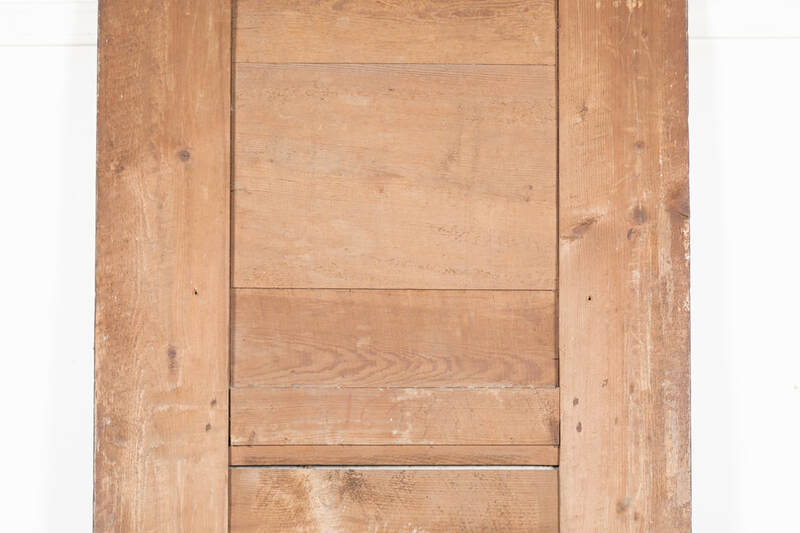 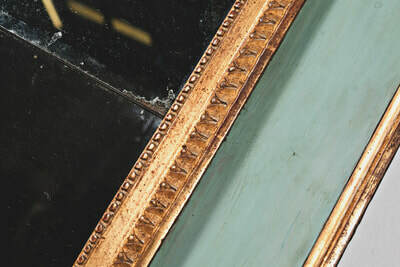 The unique appearance of antique mirror glass always adds charm and character that is impossible to achieve with new mirror glass.